John A. Lanier joined the Ray C. Anderson Foundation as Executive Director in May 2013. Serving in this role has been an immense honor, and he feels privileged to work with his family to advance the legacy of Ray, his grandfather. Lanier's passion for environmental stewardship was sparked by Ray's example and story, and he never tires of sharing this story with others. Prior to joining the Foundation, Lanier was an associate attorney with Sutherland, Asbill and Brennan, LLP, specializing in U.S. Federal taxation. He represented the interests of various Atlanta-based nonprofits, gaining experience in nonprofit formations, compliance and applications for recognition of tax-exempt status. During that time, the Ray C. Anderson Foundation was one of his clients. Lanier currently serves as Chair of the Board of Directors for Southface, the southeast's nonprofit leader in the promotion of sustainable homes, workplaces and communities through education, research, advocacy and technical assistance. Lanier was a member of the 2014 class of the Institute for Georgia Environmental Leadership (IGEL). 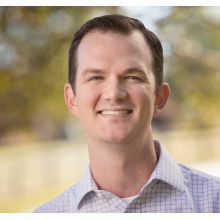 Lanier earned his Juris Doctorate from the University of Virginia School of Law, and he holds Bachelor of Arts Degrees in History and Economics from the University of Virginia. He is an Atlanta native who simply enjoys life. Lanier is blessed to be married to Chantel, a truly wonderful woman, and the two of them have two children, Joseph Ray (J.R.) and Cecilia.